On September 09-10, 2010, Pioneer Institute of Professional Studies organized National Seminar on Quality Management in Higher Education it was sponsored by National Assessment and Accreditation Council, Bangalore. The aim of the seminar was to discuss about the problems faced on various fronts whether it is by the management, by the faculty members and by the students in maintaining the quality of higher education and how to overcome those problems. The First Session, Inaugural Session was graced by the auspicious presence of the Chief Guest Dr. Pradeep Mathur, Director IIT Indore ;Special Guest Dr. M.Kumar, Professor and Dean of computer Science at SIRT Bhopal and Key Note Speaker was Dr. Shashi Rai, Ex UGC Member, New Delhi. In her key note speech, she discussed about Quality Issues in higher education system. She highlighted on the dynamic concepts that concept of higher education. The aim of higher education should be the development of society and country. She said that now the scenario has changed and knowledge has been converted into Information. She explained the development of Universities and Institutes in country and emphasized the requirement of more Universities and Institutes for the Excellence of the Higher Education. She emphasized on flexibility of syllabus according to the local needs. The Special Guest of the Seminar Dr. M. Kumar has explained the concept of Knowledge Management in Higher Education System. He focused on the use of Knowledge Management for improving the Quality of Higher Education. The Chief Guest Dr. Pradeep Mathur explained that higher education should be value based and the impact of it can be identifiable in our daily life. The seminar has received a tremendous response and several delegates have registered themselves for paper presentations. This seminar has focused on various issues related to Quality Management in Higher Education. Dr. V.K. Jain, Director MCA and seminar coordinator provided an overview of the seminar. The Institute received around 57 abstracts and 44 full papers from various delegates and Institutes across India. DAVV, Indore, and Dr. D. S. Saxena, Founder Director Mahakal Institute of Technology, Ujjain. 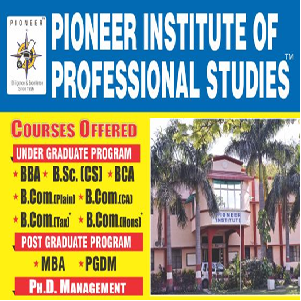 Dr. V. P. Singh focused on Faculty and there proper training according to the requirement. He said that a teacher should be trained as per local requirements. Dr. Raj Kamal has explicated the role of values in taking any kind of strategic decisions. Dr. D. S. Saxena focused on improving the attitude of the students’. He advised that there are no substitutions or shortcuts for hard work and success. The Third Session, Plenary Session II was addressed by Dr. Anupam Jain, HOD, Holkar Science College, Indore, Dr. Shailendra Parashar, Director, Ambedkar Peeth, Ujjain. Dr. Anupam Jain focused on the problems of Autonomy in Government Institutes. He said that there are so many constraints in front of autonomous Government Colleges which creates hurdles for quality improvement. Dr. Parashar focused on syllabus innovation and value based education. He said that to maintain the Quality in Higher Education, values and ethics should be include in curriculum. On the Second Day of the seminar, the Fifth Session, Plenary Session III was addressed by Dr. R. P. Mohanty Advisor-ITM Group of Institutions, Mumbai and Dr. V. K. Jain Director MCA, Pioneer Institute of Professional Studies, Indore. Dr. Mohanty has started his speech with defining Education and the role of TQM in Education. He said that Education is formed from the complex of social humanitarian subjects, oriented to psychological spiritual training of the person and his acculturation. He elucidated that quality of education does guarantee employment in the area of the student’s expertise. Dr. V. K. Jain focused on involving the top management in improving the Quality of education. He described the challenges faced by a Director for running a B- school. A Director, being the key authority of the Institute, has to respond to the every possible issue related to Institute. The role of Director becomes more challenging as he has to meet out the demands from all the corners and has to fulfill the demands from various stakeholders. The Sixth Session was Scientific Session I. It was chaired by Dr. Major Gen. V.S. Karnik and the session comprises of 22 papers and seven papers were presented. Dr. Major Gen. V.S. Karnik has also given his valuable comments on the presentations. He said that there is no doubt that expanding access to higher education in India is an imperative, and Government and others should be commended for understanding its importance. Prof S. G. Shah enlightened that higher education is essential for national, social and economic development. Good education is seen as a stepping stone to a high flying career. And for good education higher education institutions clearly need well¬ designed academic programs and a clear mission. Most important for their success however, are high quality faculty and committed students. The next Scientific Session II was for students, where the session chairs were Prof. Amiya Pahare, Dept. Director SVCGS, Department of Higher Education, Govt.of MP. Prof. S.G. Shah, Regional Vice-President-Region – 3 of CSI.India and Shri Anurag Tagde . In this session students had given there views and the best paper was judged by the session chairs. In the Valedictory Session, Dr. N. K. Dhakad, Additional Director, Higher Education, M.P. Govt. was the Chief Guest. Dr. Dhakad said that every student needs to be enlightened about post ¬secondary education. That is where the departments involved in these two educations need to collaborate to build college aspirations among our students. It means that as soon as they are out of secondary education, they are prepared to take the first step towards their career. On the positive side, the government hopes to have 15 per cent enrollment in the 11th plan period (2007-¬12). Dr. P.K. Jain, Chairman, Pioneer Institute congratulated the team for there positive efforts and excellent team work. In this Session Certificates and seminar group photograph was distributed to the delegates. Winners and runners up of the student’s Paper presentation Contests was awarded by cash prizes and certificates. The Organizing Committee comprised of Dr. V. K. Jain, Prof. Preeti Jain and Prof. Shweta Mogre.